SportsbookCloud is a Cloud-based innovative iGaming-Platform offering the most powerful and flexible omni-chanel solution with unlimited scalability for your Gambling and Sportsbetting operation. Sportsbookcloud platform had major issues with its server architecture. Costant server failures had a negative impact on project’s image and investor’s trust. The in-house developers had an issue with migrating the project to docker-based high availability environment – they were unable to reach the desired goal during six months. Our own solution (Kuberstack) adaptation and implementation in the project which provided the project with high availability and advanced security as well as autoscaling. Complete standardization and unification of all the environments (at the time there were four production environments and development+staging). Running the in-house developers team. The project is capable of withstanding a 5000 pts traffic inflow, and the autoscaling feature saves customer’s money at low loads. The platform is protected from hacks and cyberattacks. Now the new environment with all its additional services deploys in several hours, no matter what functional modules are involved. In one month we were able to cope with all the tasks that were impossible to solve for the in-house developers during six months; we have also fixed their mistakes. What is more, our solution made customer’s project 99.9% highly available, protected and autoscalalble. 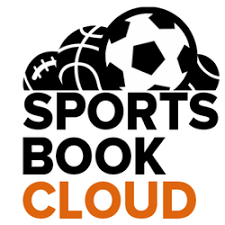 SportsbookCloud chose KuberStack from Arilot to migrate complex financial system to cloud architecture. Arilot helped with setup of SportsbookCloud platform on Kubernetes and made the platform scalable. The preparation time of a new environment and deployment of new platform versions decreased to few minutes that allowed us to earn more funds.